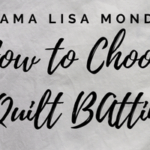 It’s Mama Lisa Monday! She’s back today to share some pressing thoughts, take it away Mom! She’s got some pressing fabric tips today! When it comes to one of the most important yet not the most exciting tasks in the quilt process, pressing has to rank number one. 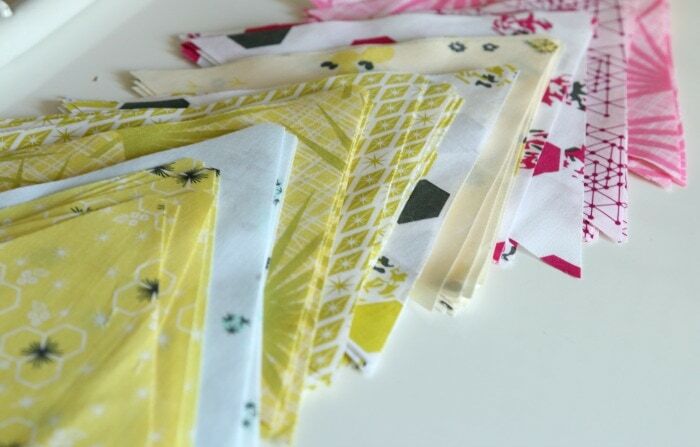 We press the fabric before cutting, press seams, press finished blocks and finished quilt tops. First let’s talk about why I use the term “press” rather than “iron”. Ironing is applying pressure and movement across the surface but pressing is more static. Pressing is where you press down the iron in one place then pick up or fully release any downward pressure and move it to the next location and press down. 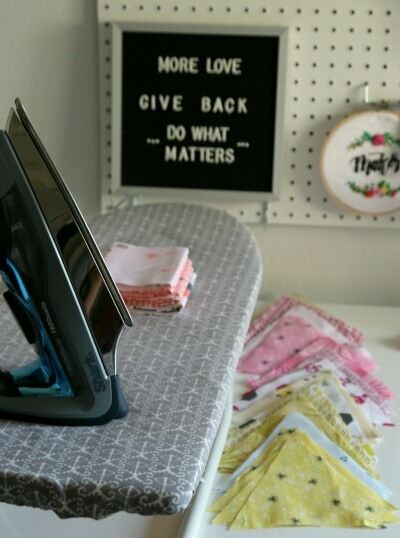 Pushing the iron down and across fabric like we often do when ironing clothes can stretch and distort quilting cottons. 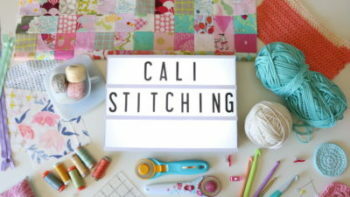 Pressing fabric before cutting ensures the fabric is flat and that wrinkles or bumps in the fabric won’t cause errors when cutting your pieces. This brings up whether or not to use steam. 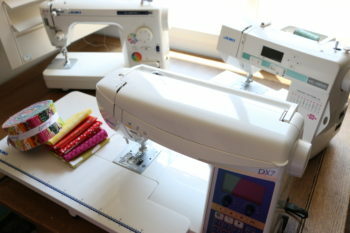 Some quilters always use steam, some don’t and some like me only use it for certain tasks. Pressing fabric before cutting is one time when I will use steam or starch. It really helps to eliminate the wrinkles and prepare the fabric for cutting. Steam or starch? They both have their place in the pressing process. 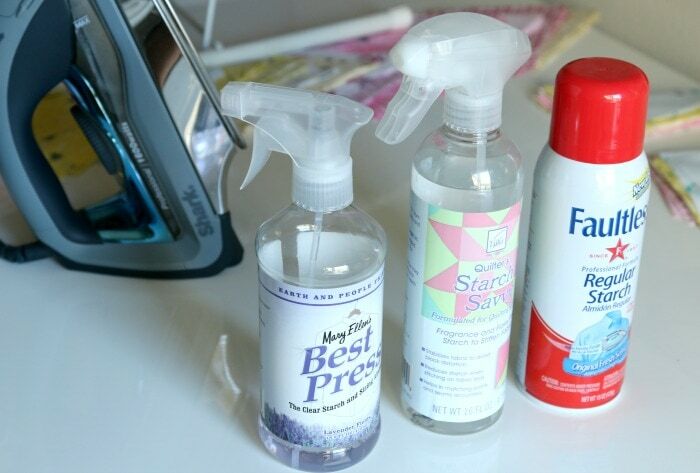 Steam relaxes the fabric fibers with moisture and then the heat of the iron, dries it flatter. However, that relaxing process can also cause distortion if you use too much pressure and stretch the fabric. Therefore, I rarely use steam for pressing seams or blocks. 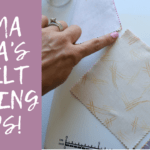 The first few years of my quilting journey, I used steam heavily and then found that the dry iron not only gave me better results but it saved time and I didn’t worry if my iron would leak. Starch while it does get the fabric moist or if used heavily can be very wet, the chemical in the starch holds the fibers in position and stiffens the fabric. 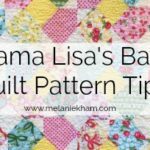 This can be very helpful when cutting fabric into pieces to be used to make your quilt top and particularly helpful anytime you are cutting at an angle across the grain of the fabric called the “bias” as that angle can be stretchy. 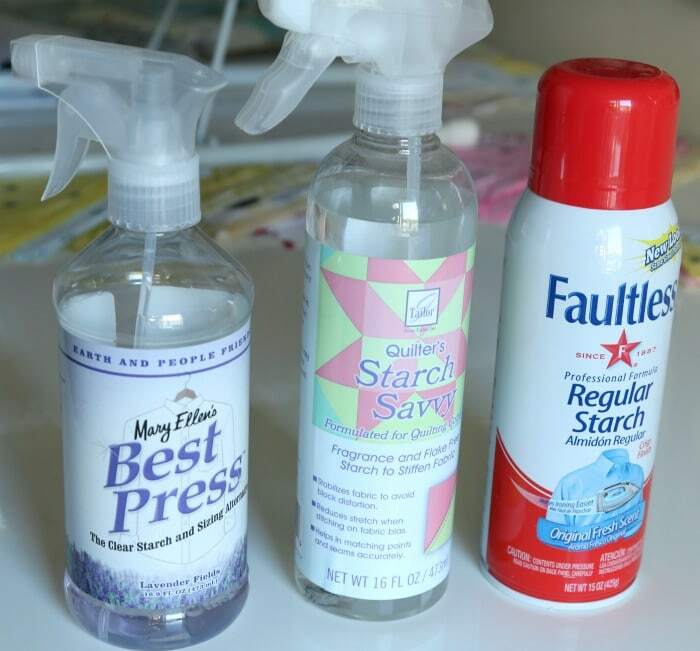 There are various starch options on the market, and I prefer to use “Best Press” for general preparing my fabric for cutting and throughout the quilting process. I use Faultless spray starch when I want to really secure fabric and stiffen it particularly when cutting on the bias. Faultless has a premium type that reduces the flaking and I much prefer it over the standard starch. One frequently noted caution when using starch, is that it can attract the insect, Silverfish. These little bugs eat sugars and starches. Now, I’ve never seen a silverfish in my home or around my fabric, but I have heard other stories where they have been found. So, I only use starch on my current project and don’t use it on fabric and then store the fabric in my stash. This is also one reason why many quilters use “Best Press” because it is not a true starch that these little bugs would eat. Best Press is also acid free, has no residue or shine, no flaking and the nozzle doesn’t clog. So, pressing really does matter in the quilting process. 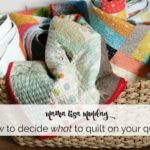 On a future post we will discuss “pressing to the dark side” and other pressing matters in quilting. Are you a steam or dry fan? Starch or no starch? Sound out in the comments and let us know what works for you! Great information Mama Lisa! I used to always use steam then I heard you say that you usually don’t awhile ago, so I stopped. I always use Best Press but for this project I plan to use starch. Best Press is the only thing I have found to get out those creases from the bolt. Thank you for another great tip! Thank you very informative. Always learning new things. I don’t use steam, have to rethink pressing vs ironing.